Well, since getting on the plane at Manchester, I’ve had an unpleasant surprise. Carp-Talk magazine, a staple of many carp anglers for the last 24 years, and a publication I’ve written for for over 9 years, is to close. After initially sending a cheeky email to Editor Simon Crow which basically stated ‘gissa job’ and subsequently being given the opportunity of a 3 month temporary slot, I’ve gone on to write not just the northwest column, but after a reshuffle, the north and west area catches which covered around two thirds of the UK. In total, I reckon I’ve written about 650 weekly reports, each of at least 750 words, sometimes double that, so at a conservative estimate, I’d guess close to 700,000 words over the years! Almost all have come from my readers, sharing their reports, and all I’ve really had to do is edit into readable format, add the picture, and submit for deadline. As a result, I’d like to thank each and every angler who has submitted catch reports and read my columns, I couldn’t have done it without you! Rising print costs and an increase in spending on online advertising have no doubt contributed to a difficult decision for the owners, but I’d also like to place on record my gratitude to them, for giving me a chance to write in the first place… I’ll miss it! Having covered that, I mentioned recently that I’m currently in Australia, and well, things are a little bit different here! I haven’t had time to go fishing yet, but I have had the chance to visit a couple of tackle shops to see how things vary from back home. 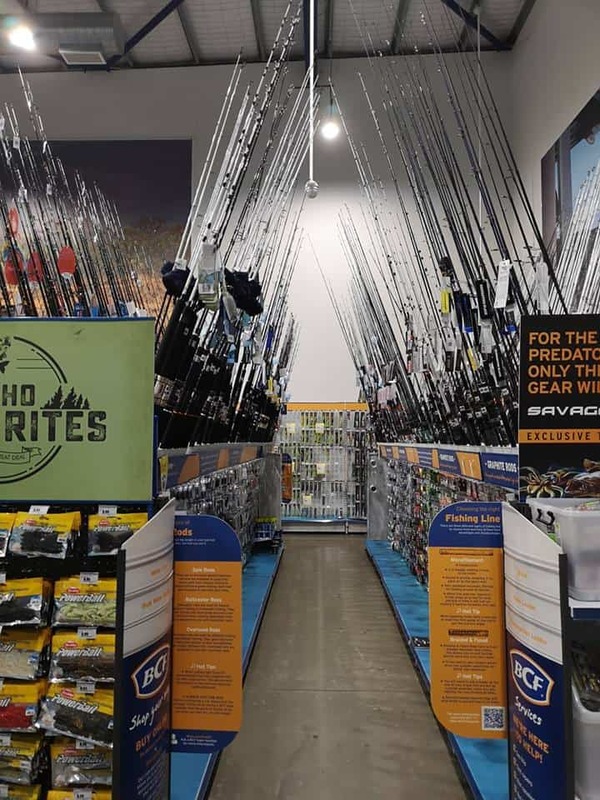 I wandered into popular chain store BCF to be met with a vast array of tackle, much of it similar to UK stock, but with the addition of plenty of other things too. 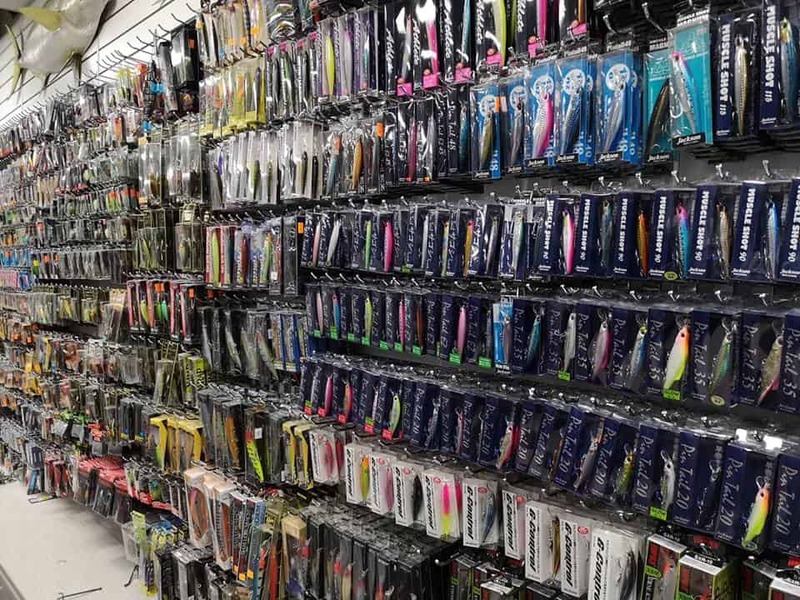 Lure fishing is huge in Australia, and the shops are really geared up to offer the imitation angler an overwhelming amount of choice, but bait fishing is also catered for too… I haven’t seen a boilie yet though, and when I explained what they were, I’m sure the staff thought I was quite mad! In truth, carp are viewed as little more than a pest in Australian waters, and I’ve already spoken to anglers who thought nothing of throwing a 20lb fish ‘up the bank’! When I revealed that in the UK, a specially reared carp of particular strain could fetch large sums of money if you wanted to buy it, I wasn’t too surprised when Australian anglers offered to post some over for free! There are even plans in place by Government to introduce KHV to supress the amount of ‘invaders’ in local waters it’s got that bad! Imagine not being able to catch your target fish without hooking carp? I know some UK anglers who can only dream of such things! 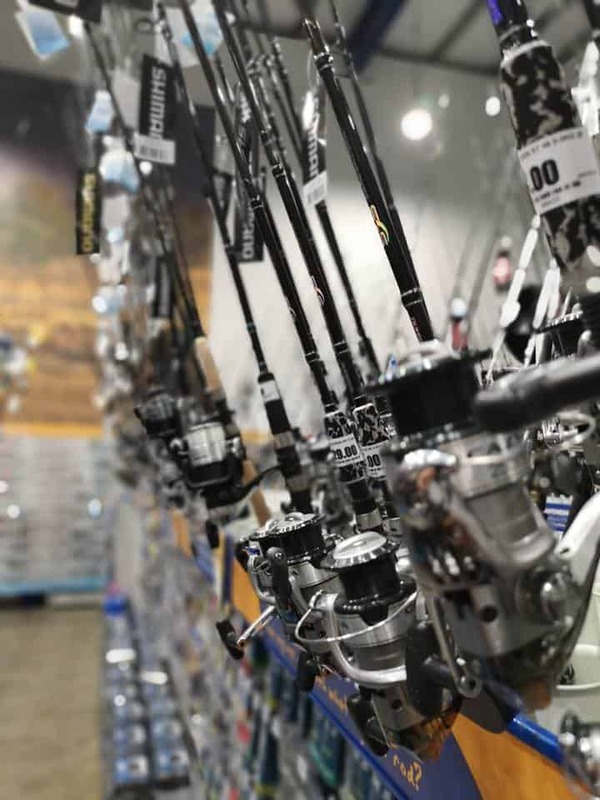 Some of the reels would not have looked amiss on a crane, with big game fishing, although expensive, a real attraction for many anglers, who could also pick up foot long marlin lures, spearguns, and shark hooks off the shelf! It’s not often I can use the phrase ‘like a kid in a sweet shop’ but I was. It was astonishing! The staff were on the ball too; I visited a shop around 10 miles from where I’m staying (which is classed as ‘close’ over here) and they were able to tell me what I could expect to catch in the tiny local creek, and how best to do it, right down to the best time of day… I know shops in the UK where I wouldn’t get that kind of information. 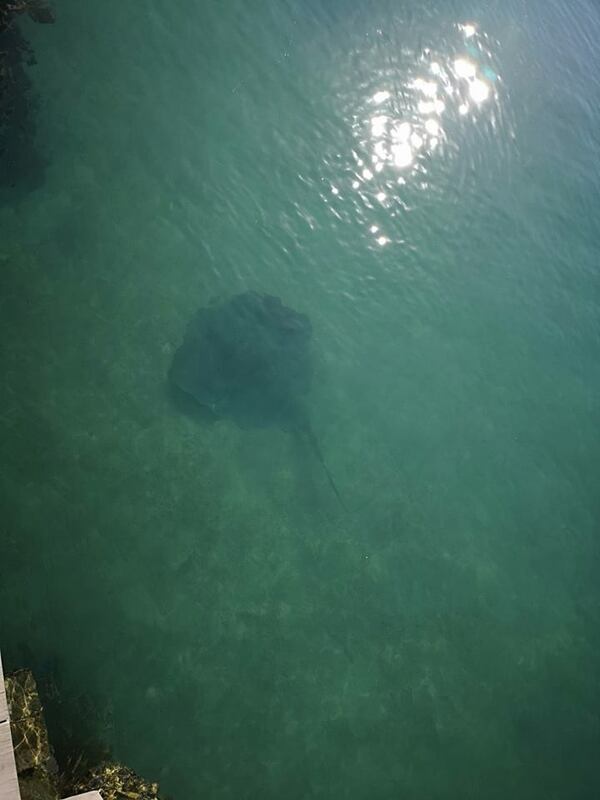 It took a second or two to realise that I was staring at a stingray, and a big one too. It was at least four feet across, and it stopped directly below to inhale the remains of the filleted fish in use by the anglers next to me. I was less than a rod length away from it and hadn’t bought one with me! There was no point in the Australian anglers having a go either, as their 15lb braid and tiny hooks would have been no match for it, but what a treat to see! After having a beer, comparing notes with my Aussie compatriots, and sharing catch pictures, I’ve now found a few spots to fish; I’ll have to return to the tackle shop just to pick up a few extra bits, but then I’m good to go. 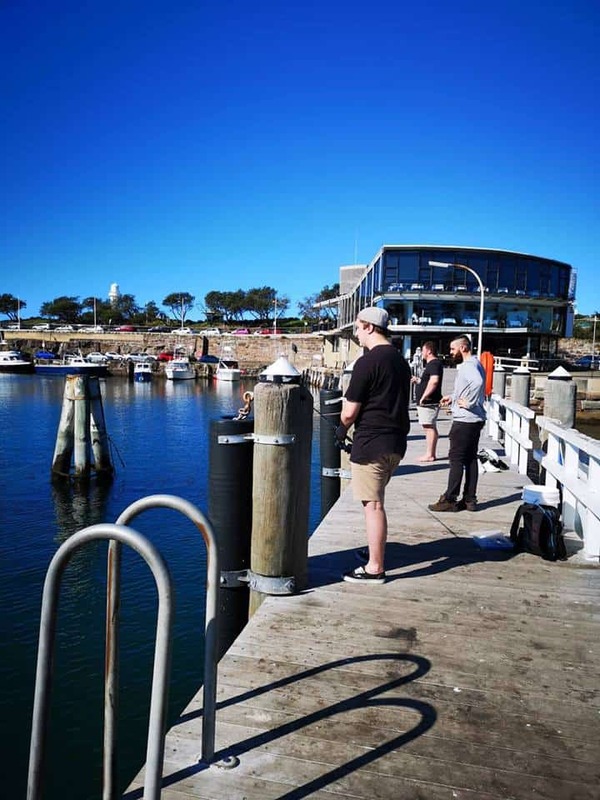 I have no idea what I’ll catch, but then I’m in Australia, so who really cares? For the angler, this country is perfect… unless you’re a carper, then I probably wouldn’t recommend it! Tight lines!